Abigail Disney, a filmmaker and the grandniece of Walt Disney, is very upset about executive pay at the Walt Disney Company. She made this clear in a Washington Post op-ed. Unfortunately, she also made it clear that she understands nothing about economics and how earnings are determined. Ms. Disney complained about “the naked indecency of chief executive Robert Iger’s pay.” Golly. She then went on to compare executive pay to the average worker’s, railed against tax cuts, and attacked the Disney company for opposing a minimum wage hike in the city of Anaheim. I hate to say it: This reads like a typical left-wing, Hollywood diatribe devoid of any economic sense, and the only reason that Ms. Disney is getting attention is because of her last name. Now, let’s try to help Ms. Disney, and others, understand some basic economics when it comes to compensation. 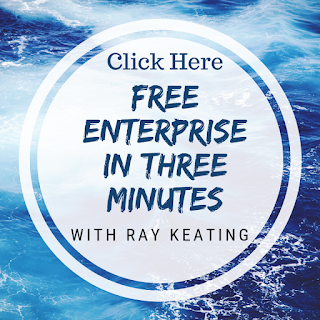 I do a regular podcast titled “Free Enterprise in Three Minutes,” and have dealt with the economics of earnings and wages in several episodes. Episode 31: What People Earn, Part I: Productivity explains that, ultimately, earnings, or incomes, are determined by productivity, that is, output per worker. Episode 33: What People Earn, Part III: Why Does Mike Trout Earn More than Teachers? tackles the issue of someone like Angels outfielder Mike Trout earning more than your average school teacher – again, based on economics rather than how someone might feel. And the latest episode deals directly with Ms. Disney’s complaint. It is titled Episode 34: What People Earn, Part IV: Why CEOs Make Far More Than Their Employees, and I explain the basics on why CEOs of businesses make so much more than those on the assembly line, covering the sales floor, or driving the trucks. There are other episodes that Ms. Disney could benefit from in terms of understanding the actual economics at work, such as Episode 21: The Ills of Price Controls, which explains, in part, why a minimum wage hurts, rather than helps, young, inexperienced, low-skill workers, and Episode 15: Marx Was Wrong – Owners and Labor Work Together, which lays out how the real relationship between business owners and workers functions, as opposed to the idea that one is pitted against the other. So, there you have it. Six quick lessons for Ms. Disney and others on the economics of earnings. That’s a total of about 18 minutes in listening time. Now, how many people who line up with Ms. Disney on such matters will carve out this little bit of time to gain a better grasp on economics and compensation? I’m guessing not many – and that is unfortunate. When Disney bought assets from Fox for $71.3 billion, part of the deal was 22 regional sports networks (RSNs). However, the government said Disney couldn’t keep those networks. The forthcoming sale of these RSNs means that Disney is likely to recoup some $13.5 billion of its Fox purchase price, and Major League Baseball (MLB) might be in on picking up 21 of those RSNs. 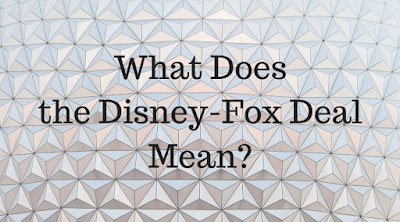 The U.S. Department of Justice decided that its regulatory approval of the Disney-Fox deal was contingent upon Disney selling the RSNs. The Justice Department apparently worried, given Disney’s ownership of ESPN, about some kind of monopolization of sports broadcasting. Given the dynamism of the video marketplace, this government mandate was firmly rooted in economic ignorance, but that’s a point left to be explored in another piece. One of the networks – the YES Network – reportedly has been secured by Amazon in collaboration with the Sinclair Broadcast Group. This is the network that carries the Yankees, and the team is part owner. This sales is said to be for $3.5 billion. There are three bidders that have reached the final round for the remaining 21 RSNs – Ice Cube’s Big3, Sinclair, and Liberty Media Corp., which is teaming up with MLB. Liberty owns the Atlanta Braves and the Formula One Group. It’s widely reported that this package will be sold for approximately $10 billion. Interestingly, this is down notably from assorted estimates for a sale price in the $20-$22 billion neighborhood. Arguably, the most interesting outcome would see MLB in on the ownership for these 21 RSNs, and what that might mean for expanding opportunities for broadcasting baseball. The Walt Disney Company announced today that it has pledged a $5 million donation to the restoration of Notre Dame Cathedral in Paris. While French President Emmanuel Macron has promised that Notre Dame would be rebuilt in five years, most experts note that it could take much longer – perhaps decades. 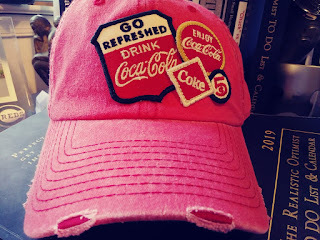 I’ve been known to declare on occasion: “Sometimes a cold Coca-Cola is the perfect drink.” More than a few people have, no doubt, said the same thing while in Walt Disney World or Disneyland. And looking ahead, they’ll be able to grab a Coke in the new Star Wars: Galaxy’s Edge in both parks. But it’ll be a different, immersive drink. A few weeks ago, we were treated to an absolutely fantastic presentation by George Aguel, Senior Vice President of The Walt Disney Company. George walked us through Coke and Disney's shared history beginning with our two handwritten logos recognized around the world. He then detailed (with audio and video I don't have rights to share) joint promotions for Saludos Amigos, Disney's 1942 feature film about Latin America. George also shared an unrealized script from the Disney Archives from 1943. It would have been a joint creation of the two companies but had to be dropped due to World War II. 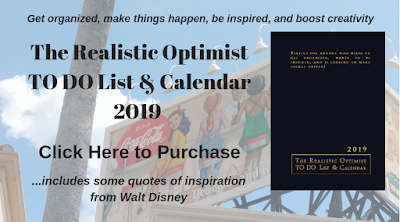 From that point the content flew by, we were the sponsor of the first Disney television special, One Hour in Wonderland, which aired on Christmas day, 1950 as well as the later television series, The Mickey Mouse Club. And of course, Coca-Cola was onboard when Disneyland opened in 1955 at the “Refreshment Corner” on Main Street, U.S.A., when Walt Disney World opened in 1971, and has been there and in the other theme parks ever since. Today, there’s a Coca-Cola Store, for example, at Walt Disney World’s Disney Springs, and there’s the Coca-Cola-sponsored Club Cool at Epcot. 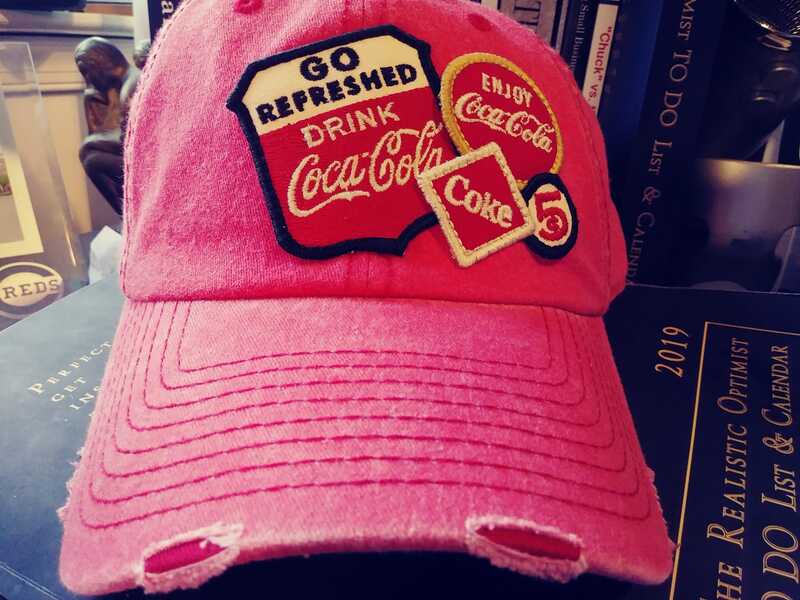 In fact, I purchased this very cool hat at Club Cool. The creative process kicked off more than three years ago. 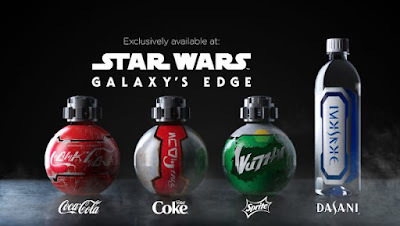 Coca-Cola Design created dozens of prototypes of all shapes and sizes, collaborating with Walt Disney Imagineering and Lucasfilm Ltd. before eventually landing on the designs that will debut in Star Wars: Galaxy’s Edge (Coca-Cola and Disney are both listed on the patent of the proprietary over-cap). Matt Cooper, an associate industrial designer at Coke, said the project challenged his team to “take our brands places we’d never taken them before.” Specifically, Batuu. “We wanted to create a package that would appear like it was pulled off a ship or left behind and repurposed as a bottle of your favorite Coca-Cola beverage – all with visual cues that keep you in the Star Wars storyline,” Cooper explained. The idea to use Aurebesh text on the labels came during a tour of the Coke Archives in Atlanta, where Coca-Cola signage with the brand’s iconic Spencerian script logo in various languages caught the attention of a few Walt Disney Imagineers. Corporate relationships dating back 77 years are rare, to say the least. And it’s interesting to see two long-established companies being creative to engage their customers. Of course, engaging customers in creative ways is what Disney’s entertainment business is all about in the end. But it’s what a beverage company like Coca-Cola must do as well. In fact, Coca-Cola arguably does it better than anyone else, as the 127-year-old company ranks as the world’s most recognizable brand, and a significant part of that is about lifestyle. And now, it’s getting set to be the most recognizable brand in a galaxy far, far away. On Saturday, April 13, ResortTV1 will be taking livestreaming to a level not previously achieved. ResortTV1 has announced that it will be going live from all six U.S. Disney theme parks – from Walt Disney World in Florida and Disneyland in California – at the same time. The all-day stream will be switching between all six parks thanks to, according to the ResortTV1 announcement, “stream-hopping technology.” ResortTV1 says this is the first time that all six parks will be in one livestream. Livestreaming from the Disney parks has become wildly popular, and this is a fascinating step being taken by ResortTV1. I certainly wish them success on Saturday. Indeed, a full-day of livestreaming from all six U.S. parks is a dream come true for many Disney aficionados. It should set the bar higher for other livestreams – Disney-related and others – going forward. The Walt Disney Company went three-for-three today on content, pricing and timing in its announcement regarding the Disney+ streaming service. The big news was that Disney+ streaming will launch in the U.S. on November 12, 2019, at a price of $6.99 per month. 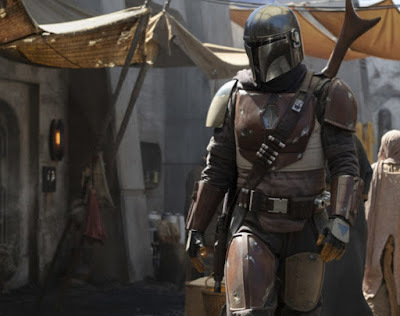 These come on top of other already-announced new series, such as the live-action Star Wars series The Mandalorian; a new season of Star Wars: The Clone Wars; a Cassian Andor series starring Diego Luna and Alan Tudyk; Marvel’s Loki series starring Tom Hiddleston; and Monsters at Work. 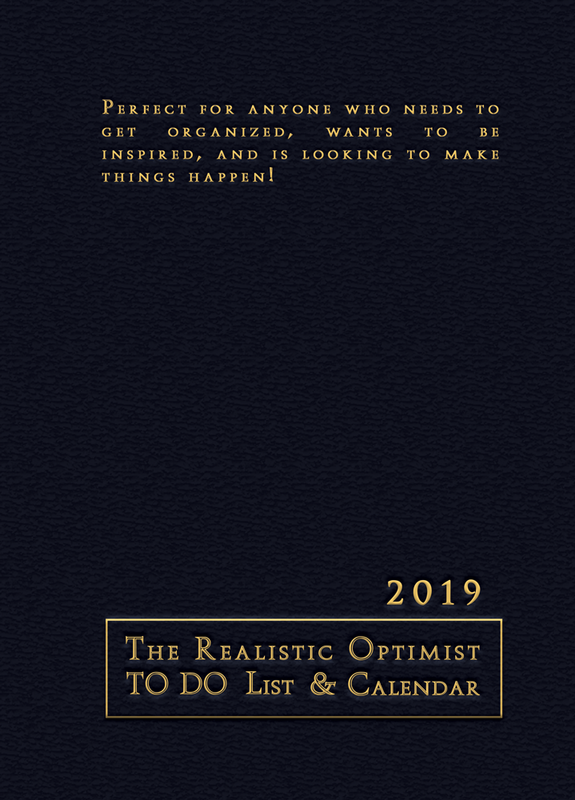 The combination of a massive and growing content library of high-profile movie and television titles, rolling out new and potentially high-appeal titles, and a price well below the Netflix standard plan ($12.99 per month) point to an impressive opening for the Disney+ service. 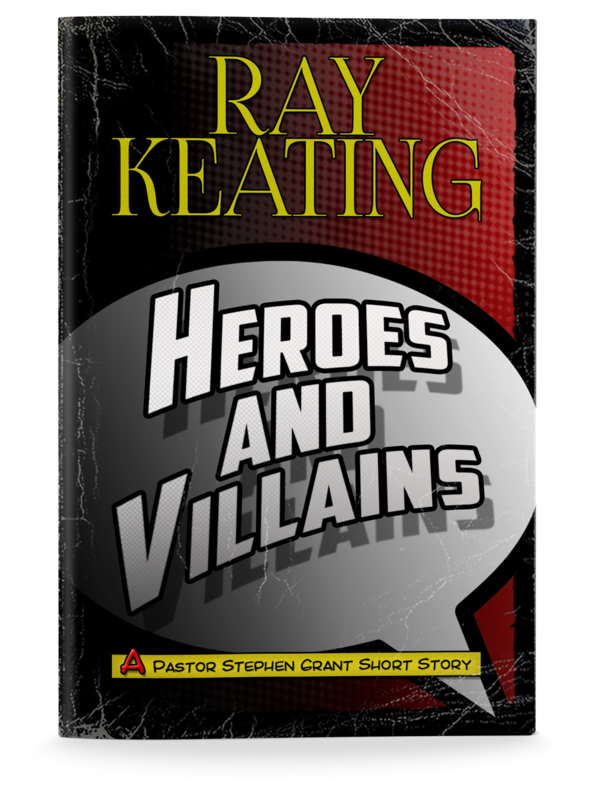 And it’ll be available just in time for the Thanksgiving and Christmas holidays. Consumer and investor expectations should run high. The home opener this season for the L.A. Angels is on April 4. So, what does this have to do with Disney? Well, here’s a little Disney baseball history. The relationship between the Walt Disney Company and the Los Angeles Angels goes far beyond the 1994 movie “Angels in the Outfield” – thankfully. For example, as noted in the following advertisement (courtesy of Yesterland.com), the greatest family deal ever (!) was offered for April 15, 1967. For a mere $5, you could have enjoyed an Angels-Disneyland doubleheader. 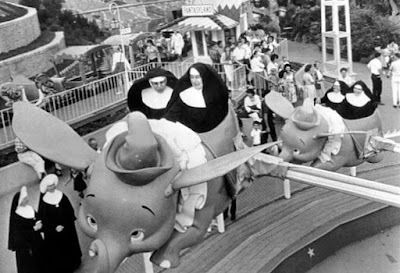 You would head to the 3:00 PM game versus the Cleveland Indians, and then enjoy a private party at Disneyland from 8:00 PM to 1:00 AM that night. Sign me up! But that’s just a fun footnote. Here’s the big question: Who owned the Angels when they won their only World Series in 2002? That’s right. 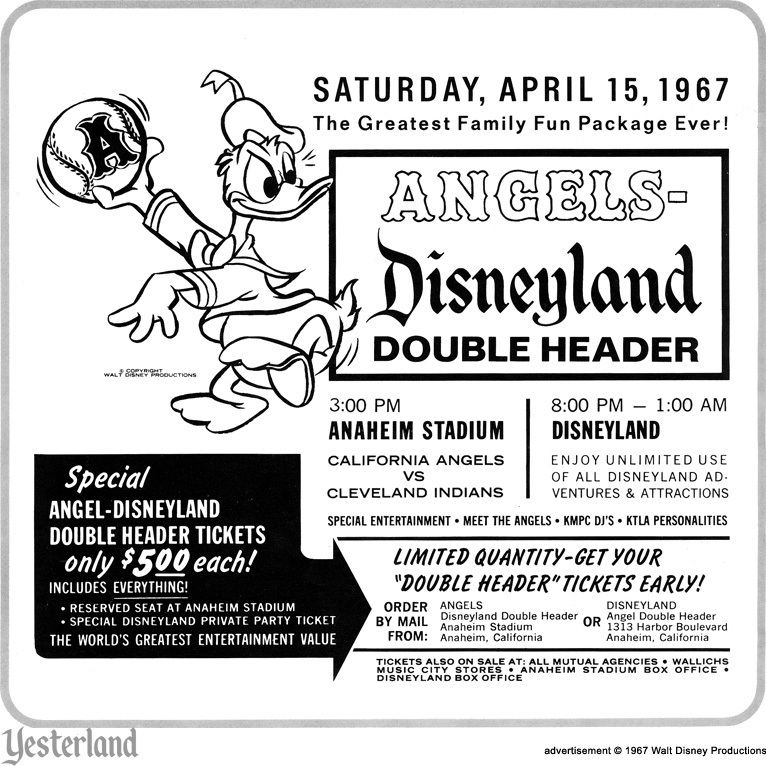 Disney owned the team when the Angels beat the San Francisco Giants in seven games. The Angels had been owned by Gene Autry – actor, cowboy and friend of Walt Disney – from the time it was an expansion team in 1961. Michael Eisner and Disney acquired a stake in the Angels in 1996, and then purchased the entire team in 1998 from the Autry family. Autry passed away in 1998. As for the ballpark, Angel Stadium underwent a $118 million renovation for Opening Day 1998, with Disney picking up $78 million of the tab, and the taxpayers covering the rest. And Walt Disney Imagineering was involved in the process. One can see the Disney touch with one particular part of the renovation, as described by Ballparks ofBaseball.com: “In left centerfield is the ‘California spectacular’ where geysers erupt and a stream cascades down a mountainside covered with real trees and artificial rocks.” Very Disney. 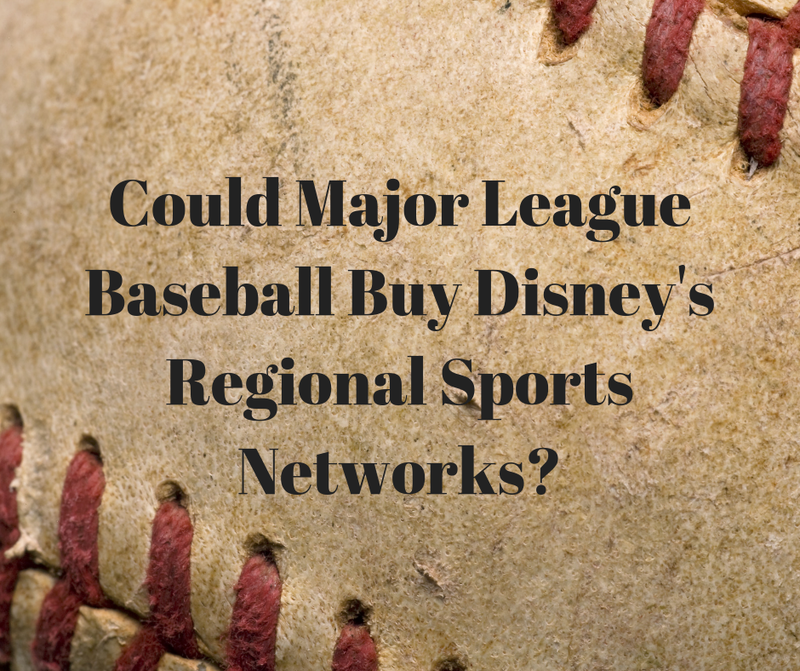 However, while Disney magic was evident on the field, with the ultimate success of the 2002 World Series victory, the financial aspects of owning a baseball team didn’t add up for Disney. The team was sold in 2003 to Arturo Moreno, an Arizona businessman who made his money in the outdoor advertising industry. So, if you happen to catch the Angels at the ballpark this year, keep in mind that the team was officially part of the Disney family for a few years, and that the two businesses have had a long relationship given that they’re Anaheim neighbors. 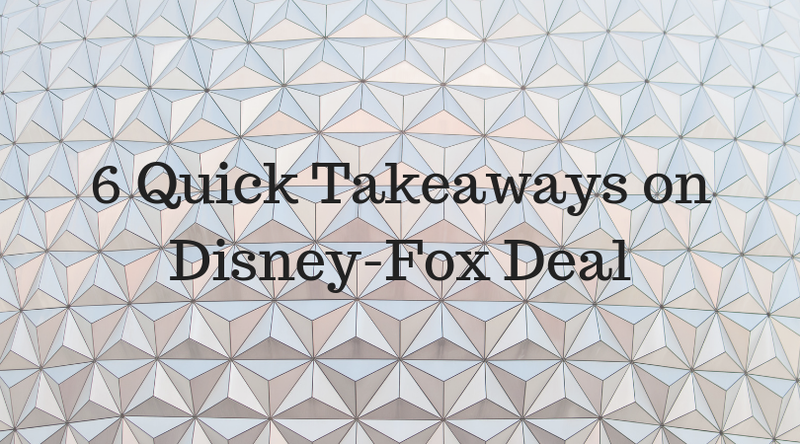 So, what does the completion of the Disney-Fox deal really mean? Lots of people have lots of ideas. What are some of the most meaningful and interesting? Let’s take a look. 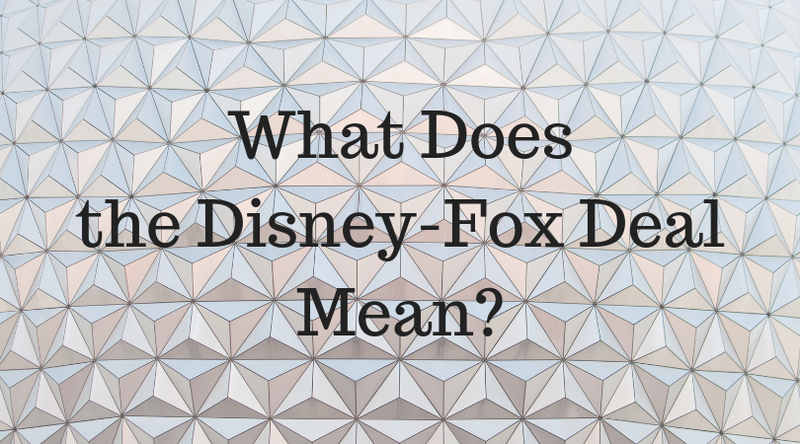 Third, Disney is closing down the Fox 2000 label. 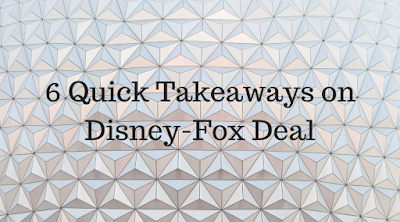 The Hollywood Reporter noted, “Disney is doubling the number of film labels it juggles, and once it decided to keep 20th Century Fox and the specialty film unit Fox Searchlight, there apparently was no room for Fox 2000. Getting Dr. Doom right would be a big plus for the MCU. Regarding the Fantastic Four, I just want to see justice done for the First Family of Marvel – whether that’s on the big screen or on Disney+. As for the unfortunate layoffs, that’s not surprising in a merger of this size. After all, there are multiple objectives with a move like this. One is to enhance the value and use of intellectual property and talent. But it’s also about gaining efficiencies, and that means eliminating duplication. Over the longer haul, if Disney performs well, that will be good news not just for shareholders, but for current and future employees.